AUSTRALIA -- They were in Australia hunting boar, but what happened was anything but boring. Greig Tonkins went running to rescue his dog Max from a kangaroo that was holding the dog in a headlock. Tonkins approached, the kangaroo released the dog, and the two squared-off - man vs. marsupial. The kangaroo reacts with a "you did not just do that" look of disbelief before turning tail. Round one goes to the man. "To save himself he launched a right hand to the kangaroo's snout," said Gregory Ronald George Bloom, ViralHog.com. But the fight over throwing that punch heated up as the video went viral. So the question is did the guy do the right thing by punching him? "Poor kangaroo. Kangaroos are beautiful." "I don't think he hurt the kangaroo." "He's somebody who needed to protect his dog." "And I think it's a happy ending." But there was also an unhappy ending - the hunt was organized to fulfill a wish for 19-year-old Kailem Barwick, who suffers from a rare form of cancer. A few months later, and just a few days after marrying his sweetheart in his hospital room, he died. Those on the hunt say Barwick thought the kangaroo encounter was the highlight of the trip - the story packed a punch. 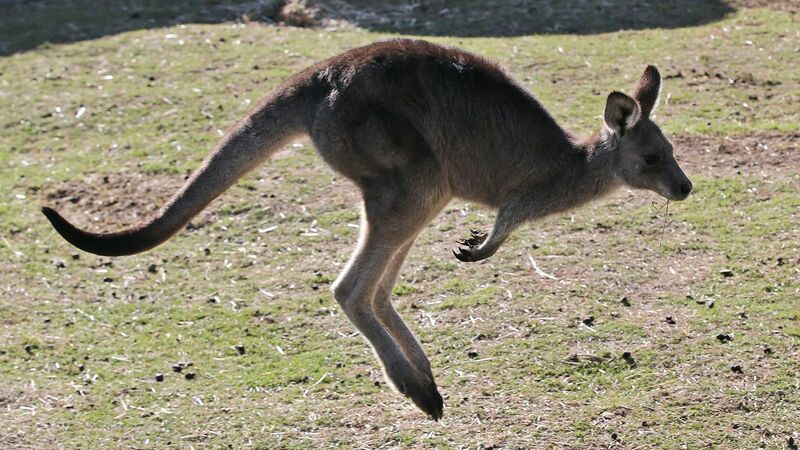 A kangaroo can be extremely dangerous, between its claws and its kick. They can also be extremely well built. It turns out the dog owner who punched the kangaroo is a keeper at an Australian zoo. Taronga's zoo is reviewing events "and will consider any appropriate action." When encountering a kangaroo, caution is advised.